FREDERICTON (GNB) – Details of the Royal Tour of Canada by Their Royal Highnesses the Prince of Wales and the Duchess of Cornwall were announced today in Ottawa by James Moore, minister of Canadian Heritage and Official Languages. Beginning in New Brunswick, the royal couple will tour Canada from May 20 to 23 and visit four communities in three provinces. ● Regina, Sask. (May 22 and 23). This will be the 16th time the Prince of Wales has toured Canada. His most recent tour was in 2009. 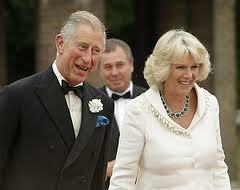 This will be the second tour to Canada for the Duchess of Cornwall. The prince last came to New Brunswick in April 1996 when he visited Fredericton, Saint John, Miramichi and Caraquet. The program will highlight Canadians' service to their communities, in recognition of which the Prince of Wales will present the Queen's Diamond Jubilee Medals. ● arrival at the First Nations University in Regina on May 23. ● A meeting with young veterans and mentors involved in the Military Entrepreneurship summer school at CFB Gagetown on May 21. ● Victoria Day fireworks in Toronto on May 21. ● A meeting with chief executives and youth who have participated in The Prince's Charities Seeing is Believing program in Canada on May 22. ● A meeting with the National Leadership of Assembly of First Nations in Toronto on May 22. ● A first visit for the Duchess of Cornwall to the Queen's Own Rifles – she has just become Colonel-in-Chief of the regiment – in Toronto on May 22. ● A special military event in Toronto on May 22 that will commemorate the War of 1812. ● A celebration of the centennial of Regina's Legislative Building on May 23. ● A performance by the Regina Symphony Orchestra, of which the Prince of Wales is a Royal Patron, in Regina on May 23. The theme of the 2012 Royal Tour is For Queen and Country: Service to Canada – A Royal and a National Value. A full itinerary is being developed in collaboration with municipal, provincial, and federal partners; Clarence House and private organizations, and will be announced closer to the start of the royal tour.